With two new restrictions on Vermont gun owners taking effect soon, some sportsmen are stocking up on gear and Vermont State Police are readying for an equipment take-back effort, statewide. For R&L Archery in Barre, and other gun dealers across Vermont, the clock is ticking. “We all have something that will be illegal on Oct. 2,” observed Jon Sanborn of R&L Archery. Sanborn said retailers want to sell the larger magazines in their inventories on or before Oct. 1. After that, for example, an AR-15’s factory-standard 30-round magazine won’t be legally available in the state, Sanborn explained. New sales for that firearm will be limited to magazines that hold 10 rounds. Magazines for handguns are limited to holding 15 rounds, according to state law. Old purchases will be grandfathered, though, so R&L said customers appear to be stocking up. 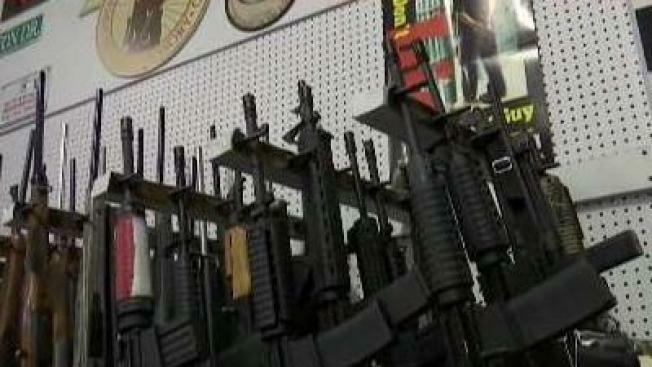 Sanborn said he expects sales of the soon-to-be barred magazines will continue to increase toward the end of the month. Vermont’s change on magazine capacity is part of a package of reforms backers believe will boost public safety, after mass shootings elsewhere and what investigators called a teen’s thwarted plan to shoot up a school in Rutland County earlier this year. “The responsibility to protect our citizens is enormous,” Gov. Phil Scott, R-Vermont, said in April of his support for gun reforms he described as modest and reasonable. The Republican’s stance, however, drew backlash from gun rights advocates who felt Scott had betrayed them. Vermont, historically, had very permissive attitudes toward guns. So-called bump-stocks that speed up certain guns’ firing rates are also banned starting Oct. 1, with fines in place for violators. Vermont State Police announced this week they are collecting the bump stocks, anonymously and voluntarily, at barracks statewide, during weekday business hours. From there, they’ll be destroyed. The group Gun Owners of Vermont advised members on its Facebook page to not give up their bump stocks just yet. Lawsuits are pending that aim to roll back the new restrictions. However, Vermont Attorney General T.J. Donovan, a Democrat, has said he is convinced the state is well within its rights to have these new limits and said he supports the public safety goals of the new laws. The Vermont Department of Public Safety has published an online list of “frequently-asked questions” about the state’s new gun rules.